Posted in Frippery, How To Ditch Your Fairy, Writing goals & milestones and tagged deadlines, despair, publishing, writing, writing desk. I got my desk on my link. I hope it works. Wow. my “desk” can use some cleaning up too. Wow. I think i should probably do that today. This is where I do most of my translation work here in Germany. All righty. Here you go. I’m eating breakfast this morning, so my work area is my nomming area at the moment. We are in the process of selling our condo and apparently potential buyers prefer the Spartan look, so most things are packed up and I work on the dinning room table (back left corner). I can’t wait until this place sells! I posted here. Both what I have now and what I used to have. 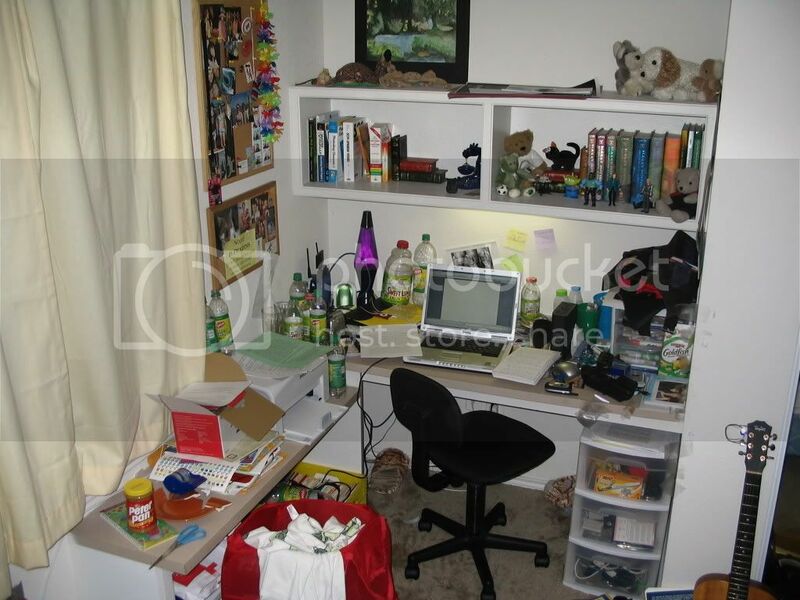 wow Fabio…you’re desk is really clean. And despite the fact that I have never heard Portuguese or read it, I understand it. It’s a meshinf of French and Spanish. I wish my desk had cinammon toast. my desk no longer has cinnamon toast. I eated it. We don’t really have a dining room table (just a wee bistro set), so I usually end up eating there by the computer. I shudder to think what might be found between its keys. If you only put in a link, the spam monster eats your comment, it seems (except if you’re Cherie, who gets special famous author dispensation). So let’s try this again. Here’s my desk. Martin: Alas, I did not see that post of yours. I’m dreadfully behind with blog reading. Has been crazy busy of late . . .
Malcolm: Nah, hers got eated too. No famous author Cherie dispensation. I have now retrieved most of the spam-eaten comments. I hope! but sadly yours does not have the URL for your desk photo. i was gonna clean my desk so that there’d be a nice little contrasty thing coing on here, but then i didn’t. because….i’m lazy. so here’s what my desk looks like at the moment. re: the green tea….i can stop anytime i want to. really. Uh, rebecca…do I have to schedule and intervention re the green tea? At least there’s a sweet leaf tea in there to mix it up a bit. You need to give your trash fairy a good talking to. It’s really slacking on the job. I usually just have glasses that are half full of water sitting on top of my desk. My roomie and I have implemented routine “cup raids” in order to keep the mess to a minimum. Anytime we’re about to start the dishwasher (because we’re too lazy to wash things by hand, but say it’s because the dishwasher cleans things better), we raid each other’s rooms for cups.